No… It’s not story time… It’s role time! Sidekick. Uses a boomerang to defeat his enemies. A bit too laid back. Second side kick, part of the group. Uses a bow and arrow to defeat her enemies. Hyperactive villain who plans to go to Super Power Island and get radiated so she can have super powers. Scientist of the group. She is very serious sometimes, but funny too. Likes to tag along near Lady Smarticle. Damsel in distress. Gets kidnapped. Infamous villain, Fearless Fox’s arch enemy and cousin (not in real life). She plans to uncover the Binary Code, and destroy Poptropica. Fairy who guides Lady Smarticle sometimes. The guy who stitches their clothes, and is the clever servant. 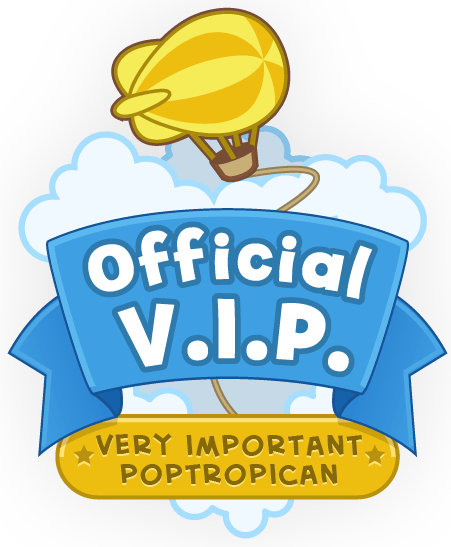 That’s all… I think… Anyways, everyone send in your Poptropican’s outfit at poptropicatip@gmail.com! A role is someone’s or something’s position or part. Example: He took on the role of blog editor. CAN MY SAYING BE: I WANT YOU GUYS TO WORSHIP ME, NEW KOOPA MEMBER OF BOWSER?????????????????????????!!!!!!!!!!!!!!!!!!!!! You gonna take him out of the post? Dude, you let Kitty slide but not me? Could he be in love with someone else? Also, there ISN’T ANY dating is there? FF, that ^ comment is for you by the way. No. Why would I be mad at you? Oh. You seemed ticked off, the way you replied ‘no’. Sorry. So, how’s the story going? Tough Spider and me are going to work on it, tommorow or today at some point. Oh, cool! What are you doing now? Not much I guess, was just watching something. Yes. I’m on Poptropica. I’m scared too. What about? I can’t say. It’s too open here. Nothing personal just don’t want the wrong people to read it….. In the story is Sam with me at ALL times? No. I’ve crossed out Sam completely. @ SW – You will? Okay! I’ll make a room! I can’t say here. sorry. Go to Poptropica Secrets and read. If you want… if anything you didn’t here it from me. @ FF – You did? Why? Thanks though! @ SW – Maybe try Cheat Dude’s blog….. Look at “Say Cheese!” Read all comments. @ SW – The code is DCC99!!! @ CS – I will go there in a moment, but I have to make a new post. (The Creators finally posted something). Oh, I accidentally deleted your comment to SW.
Oh right phew because it went at the same time my hand brushed over the trash button. @ FF – Don’t worry. I slip sometimes too. 😳 Hey, you didn’t go all out like you know who. @ SW – Are you coming to my multiverse? Yep! I just finished the posts. I love those multiverse parties! @ TS – I don’t want Sam near me at all. And if he is, no romance!!!!!!! None! Not with anyone. Sorry, if I seem pushy. And it’s not funny! What! Btw I’ve already said like A THOUSAND times. There’s no romance! You were when you said there was….. I was just kidding. I know there won’t be any romance. I trust you and TS. FF, is the story going to be like a comic, a short story, or a book? And how long is it going to be? It will be in episodes. I don’t know. Heaps! I’ll post them every week. Cool! Hey SW! Do you know Zippy Turtle and/or Fierce Moon by any chance? Oh. Do you know their blog? Um… I’ve been on it a few times, but it has too many ads for me to really enjoy. 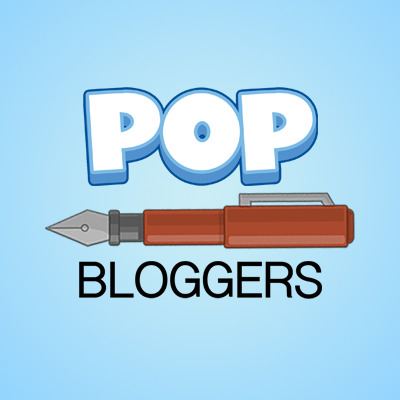 @ SW – Poptropica Secrets? @ FF – You on summer vacation yet? I still have heaps of work to do over the holidays. I don’t see the ads cuz I have them blocked on my computer. To complete the ones in Poptropica I go on my 2nd computer. @ SW- Do you know Zippy Turtle’s username? @ FF – What do you mean “kind of”? I have lots of work to do over the holidays. @ FF – Oh. Me too. I have a math packet and a reading log I need to do, but I don’t want to. @SW- I don’t see the ads cuz I have them blocked on my computer. To complete the ones in Poptropica I go on my 2nd computer. Okay, I’m working on my costume!!! Done! I sent it to our blog’s email. I’m cool with that. Do you know my user if not it is riley208730 so you can keep updated on my costume. We need two more sponsors so give me the link to your blog and email happyblog@live.com your blogs logo. I’m a new member of the koopa clan!!!!! Just look at my poptropican! Could you ask someone to take a pic of it? Don’t have an email. I’m using a friend’s. Could you ask SW or TS? I’ll take a picture of it, Nintendo Friend. The costume you took of me was the blue knight WITHOUT the snorkel right? Is anyone beside you and me on right now? No… There’s one other person. In the first widget, it has a people counter, which tells how many people are on. The number is right beside a person. I can change my outfit now right? Are you gonna change yours? I think I’m going to leave it for now. Even if I am clever,I refuse to be a servant! But isn’t that what you wanted to fix there clothes? No,I wanted to have my own shop,which they can get upgraded costumes for credits. That sort of thing,you know. So…are you going to change it? How did you know that I commented? Yeah I got the idea from that red tattoo thing on your poptropican. Red tattoo? What are you talking about? The red tattoo on fearless owls poptropican. You mean the Zaggy Moondust face paint? What’d you say about “same age”? I am currently working on a more villainous-ish outfit. I’ll send it to you when I’m done, all right? I sent in my outfit. Finally. Hey NO since you have been to one of the CDPB’s parties could you comment one my my blog, just click my name. Now I know 4 Jacobs! All spelled differently! Ooo! Magic Star is a fairy! Cool! Lol, it fits the name, huh? The costume I designed isn’t really “Fairy” though… rather like underwhelming fairy. Then you’d want to change it. OK, it’s ready, I’m about to send it. Oh, and when I meant “Underwhelming fairy”… I meant I did it on purpose! None of the “fairy” costumes I was looking at really suited my idea of the character, so she has all perfect make up and shimmery wings and then this really drab shirt and skirt 🙂 Perhaps you could have a fashion-conscious character get really annoyed at this? ?_? Are you replying to the wrong comment? What’s up with ” 😆 ” ?! Dude now you’re making me laugh at myself. How did I miss this earlier? Silly me. I’ll start working on my damsel in distress outfit now! Take a look at it. I’m debating on changing the hair and shirt. I’m not on a computer so I can’t see it 😦 could you go to avatar studio and click save image then click and drag the image onto your desktop and send it to me? Yes of course! How do you want me to send it to you? Email? Just out of curiosity, who kidnaps me? Thank you! 🙂 Can’t wait to read this! Oh, do you need a character personality description too? A description of my character’s personality, do you also need one of those? Dude, I said NO LOVEY DOVEY STUFF!!!!!!!!! I swear if I see anything lovey dovey, holding hands, kissing hugging, etc, I’m going to be REALLY mad. SAM!!!!!!!!!! P.S. Nintendo Friend is a girl. Where the heck is the guy?????? Dude! PLEASE he can be a CLOSE BEST friend NOT a BOYFRIEND!!!!!! Next time he’s going to get it! He has a crush on you in the story. And don’t make it too too obvious. Not even obvious. Let others draw there own conclusions. Okay? And yes NF is a girl. She used the customize anything glitch when it worked to get some of that stuff. As long as it isn’t obvious I don’t care. I trust you. I THINK. Umm ill have to get someone to take a pic of it. Okay. I thought he was NOT my boyfriend. You need to fix that. Yup ill get around to it in 3-2-1 done!